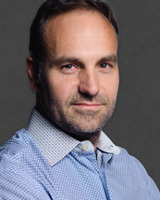 Mark Shuttleworth 18 September 1973 British, South African Entrepreneur, Astronaut, Businessperson Entrepreneur and space tourist who became the first citizen of an independent African country to travel to space. He funded and founded Cononical LTd. and provides leadership for the Ubuntu operating system. A list of popular mark shuttleworth quotes are given below.